Elgin City of Peace hosts City of Peace region with peace stories and crafts at the annual iFest (International Festival), Each One, Reach One Civil Rights story and video series interviewing Elgin community member as they reflect on the civil rights movement, Not in Our Town film series and discussions addressing community response to hate crimes and finding ways to heal, Race: The Power of an Illusion PBS film series and discussions, Civil Rights forums and community violence prevention forums, Global Peace Feast gathering each September 21st, and supporting local initiatives for peace efforts through discussions, marches, community gatherings and promoting other local events on our Facebook page. ECP partners with Elgin Community College, Coalition of Elgin’s Religious Leaders, Elgin Human Relations Commission, Elgin Police Department, YWCA, Youth Leadership Academy and many other organizations to build events and films focused on peace and cultural intelligence. 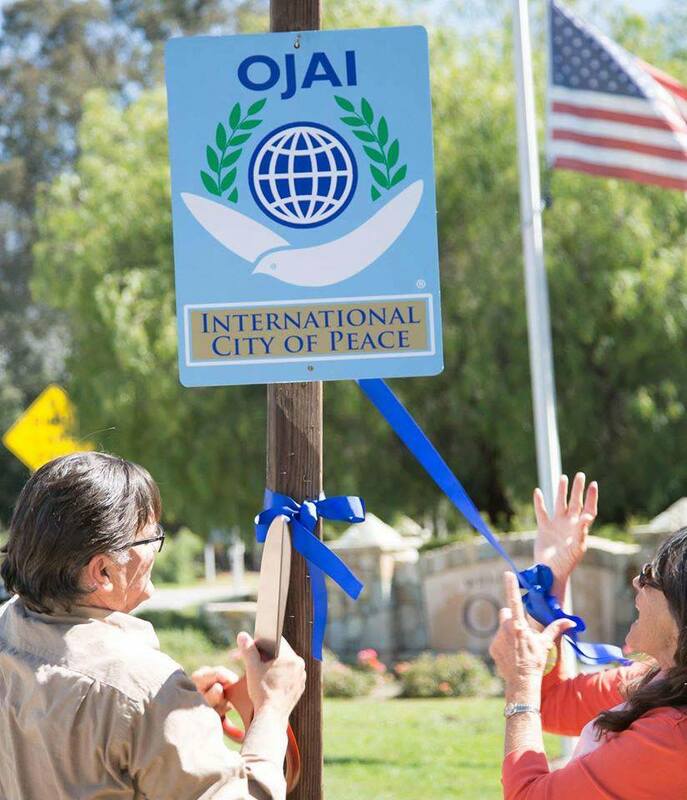 Welcome to the citizens of Elgin, Illinois who have built upon their legacy of peacebuilding to proclaim their community a City of Peace. 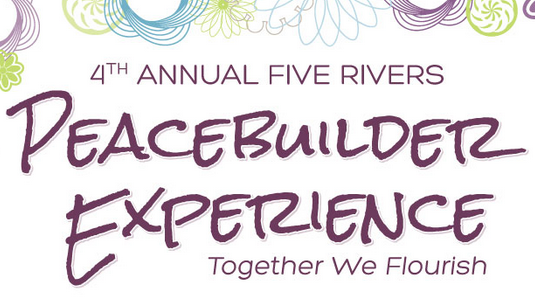 As one example with details below, the City’s twenty-five gardens have been renamed “Peace Gardens”. 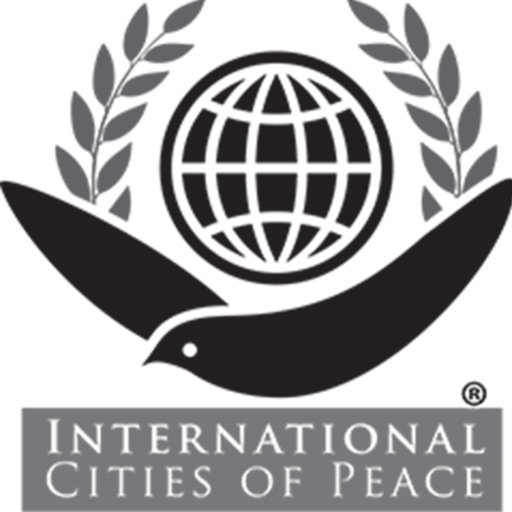 An extensive network of organizations is continuing to build a culture of peace that will benefit all citizens. You may not [yet] have heard of Elgin, the “City in the Suburbs” just 35 miles northwest of Chicago, in the Fox River Valley. 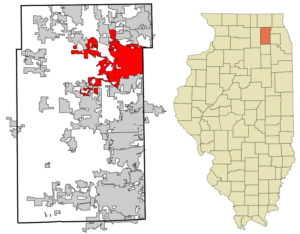 Founded in 1835, most of our square miles are in Kane County, with a portion in Cook County. Our total population of just over 110,000 makes it the eighth-largest city in Illinois and the 241st largest city in the United States. But perhaps you’re thinking the name rings a small bell; depending on your age, you may well have purchased an Elgin watch or clock. From the late 19th to the mid 20th century, it was the largest producer of fine watches in the United States. Although the factory ceased production in the early 1960s and was torn town in 1965, the clocks at Chicago’s Union Station still bear the Elgin name. Before watches were made here, Elgin was known as the “butter capital of the world” as well as home to the Borden company. When Gail Borden invented condensed milk he was living in New York, and so called his new business the New York Condensed Milk Company. It changed its name in 1899, posthumously, to honor Borden. Just a few years prior Samuel and Alfred Church, stepsons of Borden and residents of Elgin, purchased and donated Elgin’s Scofield Mansion to house a new library for the residents of Elgin. Samuel and Alfred’s only request was that the library be forever and always known as and called the Gail Borden Public Library. While the library has since moved, it still bears his name. Today’s library played a key role in Elgin’s becoming a City of Peace. Miriam Lytle, Division Chief of Community Services & Program Development of the Gail Borden Public Library District, approached her library colleague Danielle Henson, Community Engagement Liaison and, together with other community leaders — Sigi Psimenos (League of Women Voters; One Billion Rising), Rev. 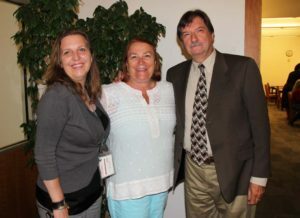 Denise Tracy (Coalition of Elgin Religious Leaders; Coalition for a Safe and Healthy Elgin) and Michael Murschel (Wiseman Consulting and Training, serving the nonprofit community) – successfully petitioned the Mayor to Proclaim Elgin a City of Peace in 2013. Why was this fitting for Elgin? One of the early markers of our commitment to social justice was the welcoming of “contraband” during the Civil War. In 1862, two boxcars filled with freed-slaves from Alabama and Mississippi arrived in Elgin. 110 ex-slaves, mostly women and children, were put up overnight at the Kimball House Hotel and placed in homes of sympathetic families the following day, thus creating Elgin’s Black community. 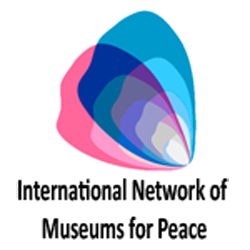 This event has been documented through “Project 2-3-1”, which includes a film component. Acceptance in the community took decades, of course, and is still very much a work in progress. Recent events such as the Trayvon Martin verdict prompted a series of conversations about race, which continue in Elgin both formally and informally. In addition to Elgin’s early Black residents, more recent years have seen an exponential increase in our Hispanic citizenry, who now comprise the most significant percentage of the total population. Elgin also has a large and active Lao community; recently the Lao Oral History Project, spearheaded by the Gail Borden Library, was completed. 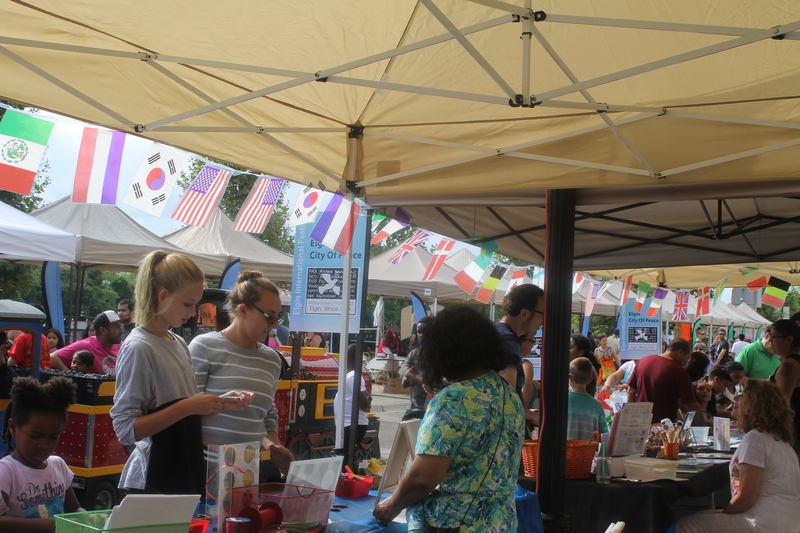 The diversity within Elgin is both a source of celebration through events such as the annual International Festival, (see photos!) and a challenge as the city strives to be welcoming to and supporting of all of its citizens. 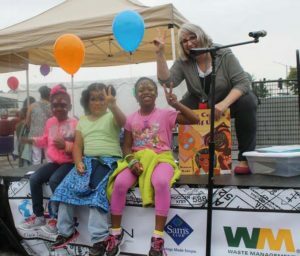 Regardless of race or ethnicity, peace and justice are issues for each of us, and Elgin prides itself on a long history of embracing diversity and educating the community about peacebuilding, connecting individuals to resources, and developing solutions for neighborhood problems. One of the most remarkable aspects of our work is the level of creativity and interconnectedness of the city’s organizations, working together toward the same goal of peace, in its many definitions. We have found ways to jointly develop myriad events and programs designed to support the growth and sustainability of safe, healthy, and peaceful neighborhoods throughout Elgin. 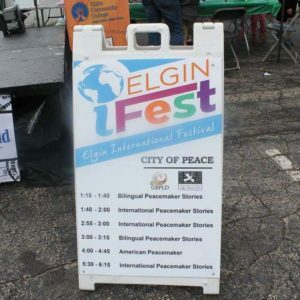 • Elgin City of Peace hosts the Annual Peace Feast and Concert on September 21st (proclaimed by Mayor Dave Kaptain as Elgin’s International Day of Peace) as well as a more extensive program each September highlighting peace efforts and community involvement. City of Peace also identifies community needs for mediation and mediators, and will soon offer a program training new mediators. • The Elgin Police Department focuses on community policing practices and sets the tone for deeper conversations. The successful R.O.P.E. Program (Resident Officer Program of Elgin) placed officers in residences within the neighborhoods, both increasing a sense of security and creating a relationship between the neighborhoods and police. EPD hosts and supports; Coffee with a Cop to engage citizens in conversation, teen programs that promote safety and creativity, Social Service Unit that supports community, community conversations through The Elgin Human Relations Commission (EHRC) and partners, attends and speaks for community peace and justice at unity events supported by The City and the Mayor, and community film discussions hosted in conjunction with educational institutions and the EHRC. • Community-wide efforts have been made to understand Vietnam and our veterans, including hosting The Wall That Heals, a half-scale replica of the original Vietnam Veterans Memorial in Washington, D.C. Its mission is to preserve the legacy of The Wall, promote healing and educate about the impact of the Vietnam War. In conjunction with this display the Library offered a Big Read discussion of The Things They Carried. The Library also sponsors the Veterans on the Go! program, connecting veterans with personal visitors, library materials and VA services. • Elgin City of Peace documentaries, addressing gang violence, have been shown in a number of locations, as has the Not in Our Town film series focusing on positive community response to hate crimes. • The Coalition for a Safe and Healthy Elgin focuses on the prevention of substance abuse and violence through collaboration and education. • Elgin’s Community Crisis Center for domestic violence works to heal, support and educate men and women in the community. To show its support for this important work, the city participates annually in One Billion Rising, a global campaign by women, for women. The movement calls for an end to violence, and for justice and gender equality. This past Valentine’s Day the Long Red Line event taught participants how we can create change through self expression, surviving abuse, growing self-esteem, raising our children nonviolently, developing and supporting community resources. This event is a great example of the cooperation among agencies in the city; it was jointly sponsored by the Community Crisis Center, League of Women Voters of the Elgin Area, Open Door Clinic, Unitarian Universalist Church of Elgin, Fox Valley Citizens for Peace & Justice, Coalition of Elgin Religious Leaders, Elgin YWCA, ECC Peace & Justice, and Conscious Cup Coffee Roasters. • The Elgin Human Relations Commission offers community education programs and sponsors a number of public events and community conversations, addresses housing and employment rights, complaints of discrimination, and reviews equal opportunity policy for City contactors. EHRC hosts the annual Dr. Martin Luther King Weekend that celebrates and educates about the work and legacy of Dr. King, bringing into focus each year the goal of becoming the “Beloved Community” through peace and justice work. Commissioner Danise Habun was the recipient of The Dr. King Leadership Award in 2018. • YWCA’s mission of non-violence has supported community conversations and empowered women. YWCA celebrates women leaders in our community annually. 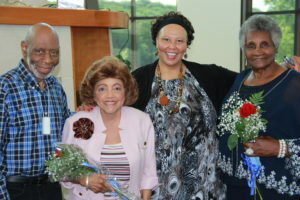 One award: The Betty Brown Racial Justice Award is named in honor of Betty’s untiring work for racial and social justice in the Elgin Community. 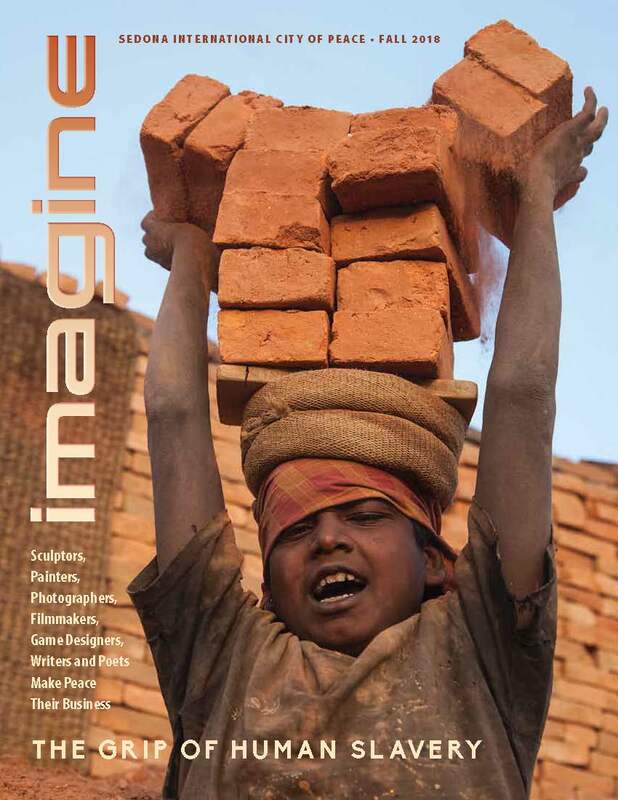 • Elgin Community College MAGIC Multicultural and Global Initiatives Committee coordinates with community to host important speakers, panels and films that educate and connect community and students to important resources and topics that build understanding and conversation. • Many Churches in Elgin support reentry programs (Second Baptist Church), student mentoring programs, those struggling with mental illness through Wayside Center and The Ecker Center, and homelessness through Public Action to Deliver Shelter, Elgin Police Department Social Service Unit, The Crisis Center, Elgin Cooperative Ministry. • Black History Family Festival Committee hosts the BHFF celebration at Gail Borden Public Library annually. This event highlights our Future African American Leaders in U-46 school district, celebrates local and regional music, story tellers, dance, educators, presenters, authors, leaders, and uplifts justice in our community. 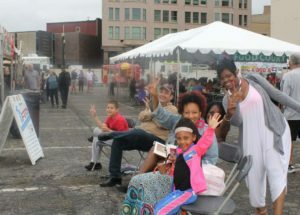 Promoting literacy and uniting the greater community in celebration of the African American experience. • The 25 Community Gardens in Elgin, renamed “Peace Gardens,” help to serve the needs of the hungry; Soup Kettles and the PADS shelter feed and serve the homeless every day. 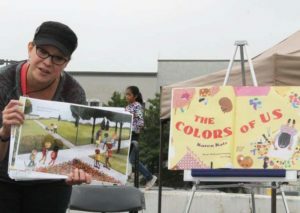 • Volunteers with The Literacy Connection teach English and help foster understanding by removing language barriers. • Senior Services Associates educates our seniors about safety issues specific to this phase of their lives. • The Library’s innovative Tales & Travel program reconnects people diagnosed with Alzheimer’s disease and related dementias with library materials. The program takes people living in memory care facilities on a monthly imaginary trip to another country or part of the US. It has been successfully piloted at three nursing homes in the Elgin area and will soon be implemented in three more. 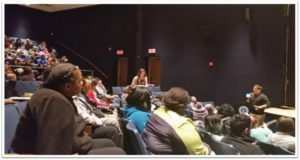 • The U-46 School District, Elgin Community College and Judson University teach restorative justice and diversity, develop and offer peace education programs, and work with community building through programming and discussions. Judson also recently constructed a “green” library, using state-of-the-art environmental and energy efficient methods. • Elgin’s Climate Change Organization shares solutions of climate change and sustainability through awareness, education and collaborative efforts. 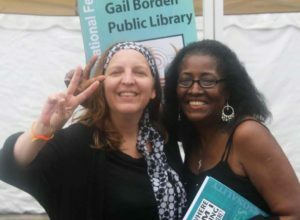 • Fox Valley Citizens for Peace and Justice strives to promote a culture of peace, a stronger democracy, and social and economic justice through education, dialogue, and action. • The Coalition of Elgin Religious Leaders (CERL) connects across 77 faith-based organizations to collaborate on diversity education and other community projects. Danielle Henson is the Community Engagement Liaison at the award winning Gail Borden Library. She has lived, worked and volunteered in Elgin since 1998. 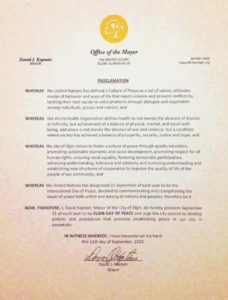 Elgin: City of Peace was born from her recognition that Elgin has grown in its peace and justice efforts in all sectors of the community for many years. She and others in the community felt strongly that this vast collective effort identifies Elgin as a true City of Peace. 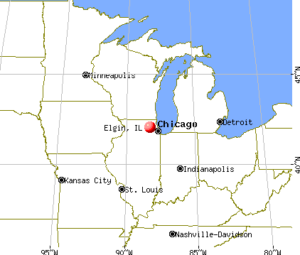 Elgin is a city in Cook and Kane counties in the northern part of the U.S. state of Illinois. Located roughly 35 mi (56 km) northwest of Chicago, it lies along the Fox River. As of 2013, the city had a total population of 110,145, making it the eighth-largest city in Illinois. In 2013, Elgin ranked number one in the Chicago metropolitan area in new home starts, while ranking second in new home closings. Elgin’s downtown has also been the center of city renovations and new developments. New townhouses, condo towers, loft spaces, and art galleries have opened in the last decade. In October 2003 the Gail Borden Public Library moved into a new $30 million, 139,980 square foot, 460,000 volume-capacity building. In August 2009 the city opened the first ever satellite branch. The 10,000 square foot Rakow Branch, situated on Elgin’s West Side, is LEED registered, and was designed to be expandable up to 30,000 square feet. Elgin has opened the 185,000 sq. ft. Centre of Elgin recreation facility across the street from the library. In 2014, Elgin completed the Central Business District Streetscape Improvement Project and the Riverside Drive Promenade. In the 1990s, Elgin became one of the few cities in northern Illinois to host a riverboat casino. The Grand Victoria Casino initially generated controversy, but went on to be a significant source of income for the city. Drawing nearly four million people annually, as of March 2005 it was the fifth most popular tourist attraction in Illinois. The Grand Victoria Foundation, to which the casino has contributed an amount in excess of $116 million, provides community grants to nonprofits in the city. In the years since, more casinos have opened in the area and the Grand Victoria Casino has seen attendance and revenue decline. 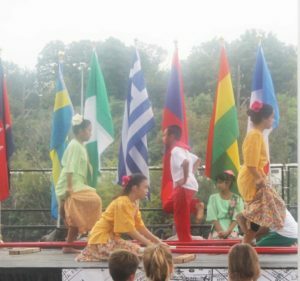 A significant Laotian American community calls Elgin home. Elgin has been the sister city of Vientiane, the capital of Laos, since 1967. Some Laotian Americans have opened stores and restaurants, contributing to the city’s cultural diversity. Elgin’s civic society is characterized by a large, diverse, and effective group of grassroots organizations, a sense of community pride and a spirit of volunteerism and participation. In recognition of this, for the second time, Elgin won the National Civic League’s prestigious All-America City Award in 2002.